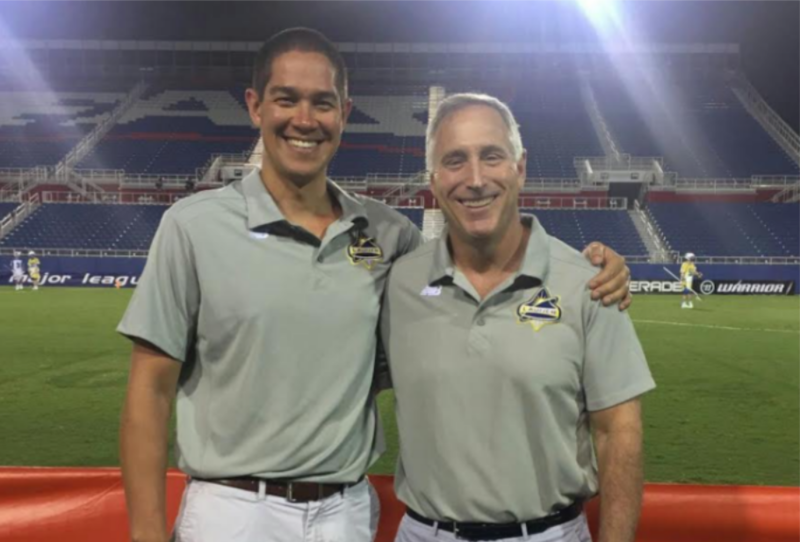 Dr. Stucken and Dr. Shapiro – orthopedic surgeons in Boynton Beach and Boca Raton – are pictured below proudly in front of Florida Launch – the Major League Lacrosse Team. Both Dr. Stucken and Dr. Shapiro are team doctors for the Launch. They are on hand to deal with any injuries to the players, as well as work on returning injured players to full fitness. Lacrosse – being a physical game – can occasionally result in fractures and career threatening injuries. Dr. Stucken and Dr. Shapiro – as leading orthopedic surgeons in Palm Beach County and Florida in general – are able to perform the latest minimally invasive orthopedic surgeries in order (when required) and return players to full fitness as quickly and safely as possible. Dr. Stucken is a Fellowship-trained Orthopaedic Surgeon specializing in Sports Medicine and Arthroscopy. He has treated athletes at all levels all over the country, from amateurs to professionals, and focuses on minimally-invasive reconstructive surgery of the knee and shoulder. Dr. Eric Shapiro is Board Certified by the American Board of Orthopaedic Surgery and is a Fellow of the American College of Surgeons. Dr. Shapiro graduated from the University of Vermont College of Medicine in Burlington. He completed his internship and general surgery residency at Long Island Jewish Medical Center. His orthopedic surgery residencies were completed at the Schneider Children’s Hospital, Long Island Jewish Medical Center, Jamaica Hospital, Huntington Hospital and Memorial Sloan Kettering Hospital in New York.Dr. Shapiro received advanced Fellowship Training in Sports Medicine at Tufts University / New England Medical Center in Boston, Massachusetts before joining Orthopaedic Surgery Associates, Inc. in September, 1994.